So last week we found out for sure that anyone who is trying to advance an orthodox interpretation of Amoris Laetitia is at odds with the Pope. Edward Pentin noted that ++Baldisseri has written on behalf of Pope Francis to thank Malta's bishops for their guidelines on Ch. 8 of Amoris Laetitia. Still think Pope Francis isn't trying to undermine Church teaching? Last week I had a discussion on Twitter with Scott Smith, an Australian Blogger and Fr Paul Keller, a Tanzanian Priest, who were both trying to convince me that a). The Pope does clearly want to change Church teaching and b). There is a legitimacy to his direction (in other words it can be accepted as an orthodox direction). This discussion was interesting because it differed from the usual conversations around criticism of Pope Francis in that the usual pro-Francis advocate argues that the Pope is not trying to change Church teaching. I felt that this exchange demonstrated how any sane person, at this stage, would have to admit that the Pope is plainly trying to do just that. Scott has written an apologia for Amoris Laetitia here. He is the only person I have seen who has even attempted to justify the document's direction in theological terms. That in itself is something impressive, despite that he fails consummately. Both interlocutors failed to convince me on numerous basic points despite my genuine desire to be convinced of their premise. I want the Pope to be Catholic! I want to have confidence in that! I don't want to be in the horrible mess I feel I am in at the moment! But there are glaringly obvious contradictions in their positions, omissions, or misunderstandings. "Mortal sin is sin whose object is grave matter and which is also committed with full knowledge and deliberate consent." So if you don't know what you are doing, even if it is a grave matter, it is not necessarily a mortal sin. Certainly CCC 1860 teaches that unintentional ignorance can diminish or even remove the imputability of a grave offense. But no one is deemed to be ignorant of the principles of the moral law, which are written in the conscience of every man. The promptings of feelings and passions can also diminish the voluntary and free character of the offense, as can external pressures or pathological disorders. Sin committed through malice, by deliberate choice of evil, is the gravest. CCC 1777 teaches that moral conscience, present at the heart of the person, enjoins him at the appropriate moment to do good and to avoid evil. It also judges particular choices, approving those that are good and denouncing those that are evil. It bears witness to the authority of truth in reference to the supreme Good to which the human person is drawn, and it welcomes the commandments. When he listens to his conscience, the prudent man can hear God speaking. But conscience must be properly informed and moral judgement enlightened (CCC 1783). This education of conscience is indispensable for human beings tempted by sin to prefer their own judgement and to reject authoritative teachings. In an age where Catholics are less and less aware of what the faith teaches (as I constantly bang on about here) and where priests and bishops are afraid or reticent to preach metanoia from the pulpit (or indeed, anywhere else), it seems extremely convenient that we can now appeal to people's ignorance to try and do away with sin and the need for repentance altogether. A modern perspective of confession seems to be more about unburdening oneself than any concept of guilt or repentance. While I completely accept that sin should not be used in any way as a weapon, and the blessed sacrament as some sort of a reward for holiness, the ideas being put forward here do rob the Cross of its power. As such they jar with me and do not seem in any way consistent with the teaching of the Church. They seem to be clearly a different Gospel (2 Cor 11:4). My understanding of the Church's teaching is that, even without the benefit of special revelation it is possible for us to know something of our final end. It is in the unity of body and soul that the person is the subject of his own moral acts. (VS 48). We cannot say we are completely ignorant of what is right and wrong. We grasp basic human goods as to be pursued; as fulfilling us. We have an innate appetite for good, for truth, for justice, which are reflections of our created reality, made in the image and likeness of God. 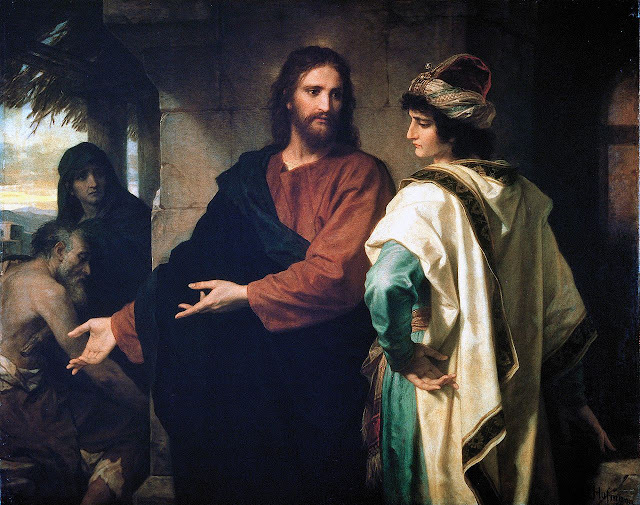 The Gospel is the revelation in Jesus Christ of God's mercy to sinners (CCC 1846, cf Luke 15) but if we are unable to recognise our sin, how can we receive His mercy? To receive His mercy, we must admit our faults. "If we say we have no sin, we deceive ourselves, and the truth is not in us" 1 Jn 1: 8-9. Like a physician who probes the wound before treating it, God, by His Word and by His Spirit, casts a living light on sin. (CCC 1848). 1. Amoris Laetitia states the importance of accompaniment to the discernment process. Surely this careful discernment would necessarily involve a deepening understanding of what the Church teaches regarding these issues. The knowledge of the objectively sinful nature of the acts would render the possibility of reduced culpability therefore irrelevant. 2. Scott has misunderstood what Veritatis Splendor says about Fundamental Option. VS summarises Fundamental Option as a theory which characterises concrete kinds of behaviour, even behaviour freely chosen, to be considered as a merely physical process, and not according to the criteria proper to a human act. VS goes on to explain how a Fundamental Option cannot be separate from our human lives. It encourages us to integrate our moral lives to be more consistent. Specifically, Scott's argument is precisely the one VS sets out to refute. The Church's consistent teaching is that understanding the moral life as not just performing moral acts, but through them of building up a person rooted in the goodness of God is embraced. There is an insistence that it is possible to commit mortal sin in a single act, provided that the matter is grave and there is sufficient knowledge and true consent. The Magisterium, however, does not say that such an eventuality is likely or even frequent. Nor does it deny that usually venial sins can prepare the ground for mortal sins. All of this is moot to some extent, because what is absolutely clear is that this argument is so utterly convoluted that the average person would never be engaged to such an extent that they could understand, let alone follow the reasoning. This is my main conclusion. Notwithstanding that the argument that Amoris Laetitia allows the reception of Holy Communion for divorced and remarried couples is far from clear (if it does, it is implicit, not explicit, and, if it does in actuality, I argue that it is spurious and cannot be justified in Catholic moral theology) the reality is that the whole debate can and has only resulted in growing bewilderment and a destruction of the moral authority of the Church. This is because it contradicts an explicit instruction of Christ in the Gospel, (who, let's be honest, does not give many moral imperatives in Sacred Scripture, the moratorium on divorce is one He does give though), and it also contradicts what the Church has always held and taught on this matter. 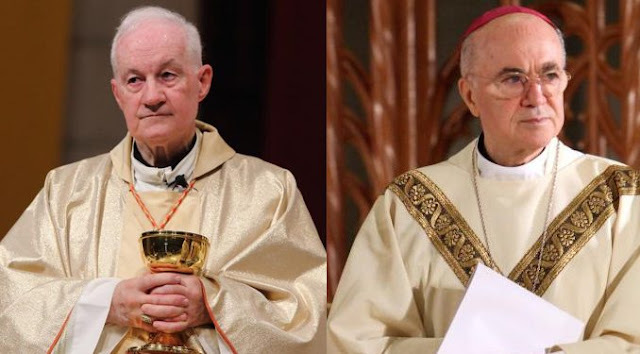 A tertiary concern is that we now have a situation where laity, deacons, religious, priests, bishops and cardinals all have differing interpretations and understandings on this issue. Certainly there have always been conflicting individual interpretations within the Church, but these have been orthodox and non-orthodox. Under Pope Francis we do not know where we stand. He won't address the dubia and will only clarify by Magisterial stealth. Veritatis splendor begins with a masterful exposition of Jesus conversation with the rich young man in Matthew 19 (ironically, just after Christ's teaching on divorce!). 'Teacher, what good must I do to have eternal life?' the young man asks. God is merciful, but our job is to call people away from the chains of sin to the freedom that Christ brings. We must be careful that we do not leave them in the darkness of sin or confirm them in error. If we do, we are failing in our commission to 'set prisoners free' (Luke 4:18). "Specifically, Scott's argument is precisely the one VS sets out to refute. " It really is quite astounding that he misses this point. I am currently writing a fuller reply to Mark, but I must admit I don't understand the charge regarding the Fundamental Option. From the way he writes, suggesting mortal sins from acts aren't likely or frequent, it sounds like he is in favour of some version of the FO (despite it being condemed by VS & Persona Humana). I am sure I am misunderstanding Mark somehow, but he seems closer to promoting the FO than Pope Francis or I. It is widely acknowledged that there are certain kinds of free choices, rightly called commitments, that direct a person in a definite way of life. Such commitments do entail basic moral stances on the part of the person, stances for or against what is right and good, stances for or against the loving plan of God. Thus as Grisez has noted, it seems reasonable to hold that there is a basic option or commitment for the Christian. This is a very good article. It is absolutely clear to me that Bergoglio is leading souls into the quagmire of confusion and darkness through his ambiguous statements and writings. He is doing more than 'heading toward heresy'. He is destructing the Faith. Our obedience must be to the fullness of the Faith. Jesus said, "Let your speech be 'Yes! Yes! and No! No!' Anything else is from the evil one." 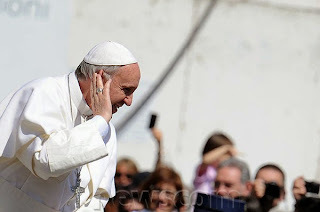 We are watching the evil one take over the Church through the poisonous words and actions of Francis and his minions. 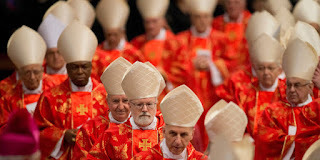 What is most disappointing is the very weak and overly-polite response of those (read Cardinals and Bishops) who should be responding with strength and clarity. It is clear that upholding the fullness of the Faith is not the first priority for these prelates. Let us pray for Holy Mother Church. The full knowledge argument in Amoris Laetitia is a distraction, for it can lead to the belief that we somehow participate in divine knowledge (that is what Plato thought). That’s not the point, what is important is knowingly being faithful or unfaithful to God, and not trying to justify behaviour through weighing up arguments about what is good/bad. Bottom line – we are not able to weigh up what is good or evil. Otherwise we could argue “it is possible that in an objective situation of sin – which may not be subjectively culpable, or fully such – a person can be living in God’s grace” (Amoris Laetitia, 305). To the contrary, because a person justifies sinful behaviour through reason, that doesn’t mean that person was faithful to God. It doesn’t matter how we try to justify our sinful decisions (i.e., by the insidious proportionalism inherent in Amoris Laetitia), if we are faithful we wouldn’t sin! 1. There are some things we can’t know – that is God’s point, so God demands fidelity! 2. “One must therefore reject … proportionalist theories, which hold that it is impossible to qualify as morally evil according to its species — its "object" — the deliberate choice of certain kinds of behaviour or specific acts, apart from a consideration of the intention for which the choice is made or the totality of the foreseeable consequences of that act for all persons concerned “ (Veritatis Splendor, 79). Thank you Fr Chris, I completely agree. Fr Chris, I am not sure if this precisely covers your suggestion, but it is worth noting the idea we can't know if we sin mortally was a proposition attributed to Luther & condemned by Pope Leo X (refer number 35 here https://www.ewtn.com/library/PAPALDOC/L10EXDOM.HTM).